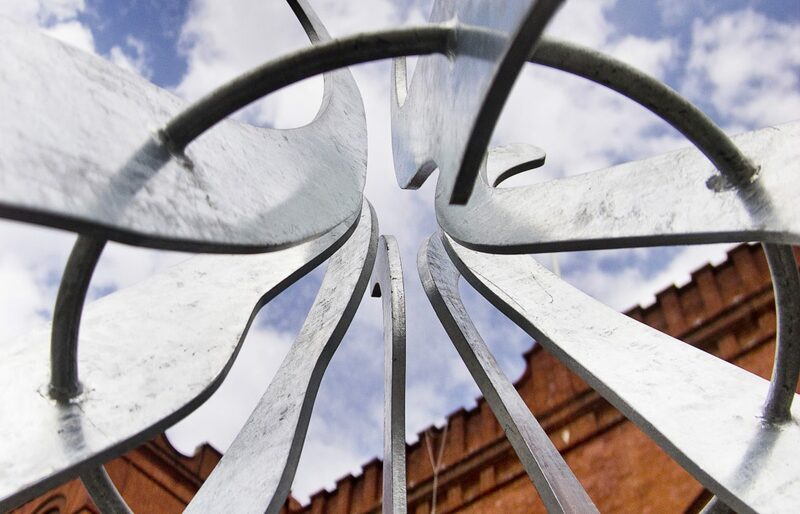 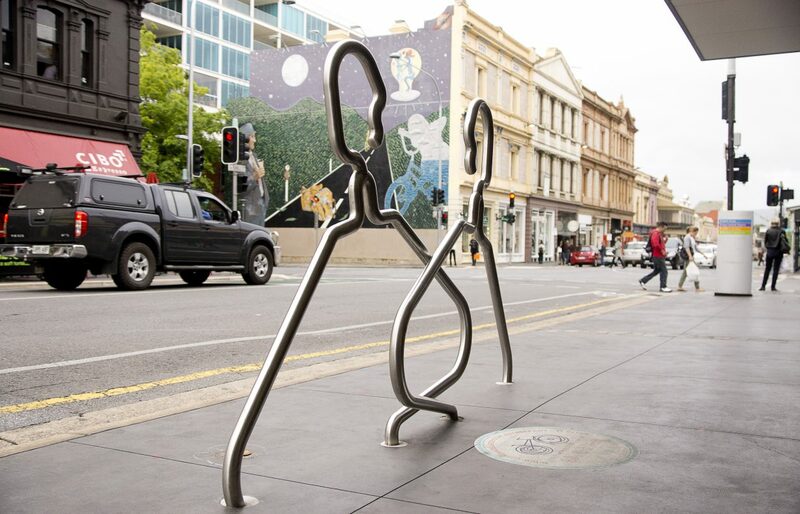 Groundplay won a commission to design and implement 2 works as part of the ACC bike art trail. 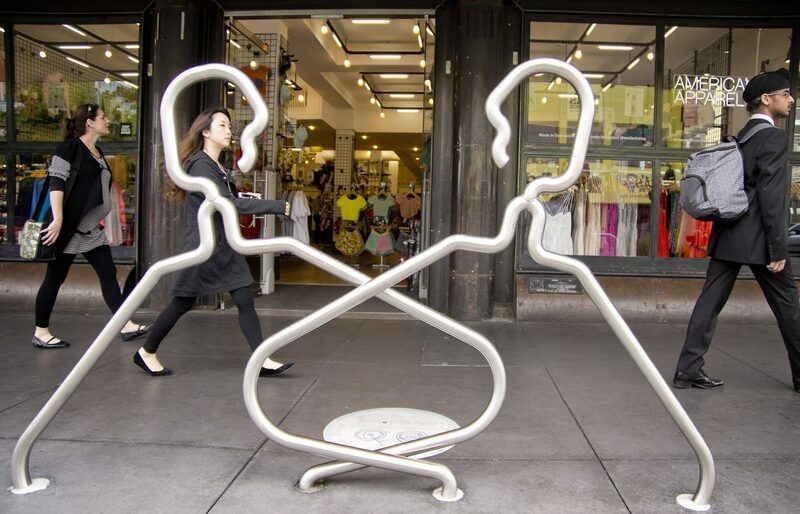 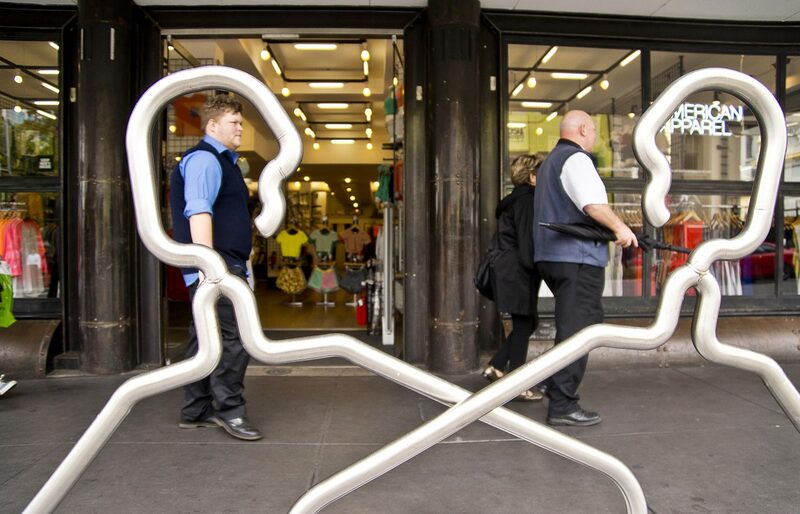 The coat hangers with heads in Rundle Street pay homage to Rundle street itself as a fashion destination and also to Joff and Rasak of Miss Gladys Sym Choon, original fashion icons of Rundle Street. 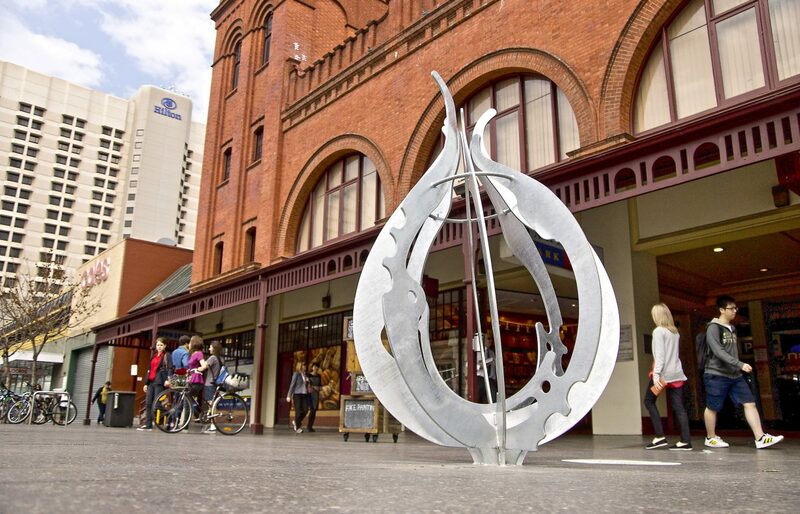 The second piece on Gouger Street at the entrance to the Central Markets is a fusion between an onion and a bicycle chain ring, hence the title ‘Onionring’. 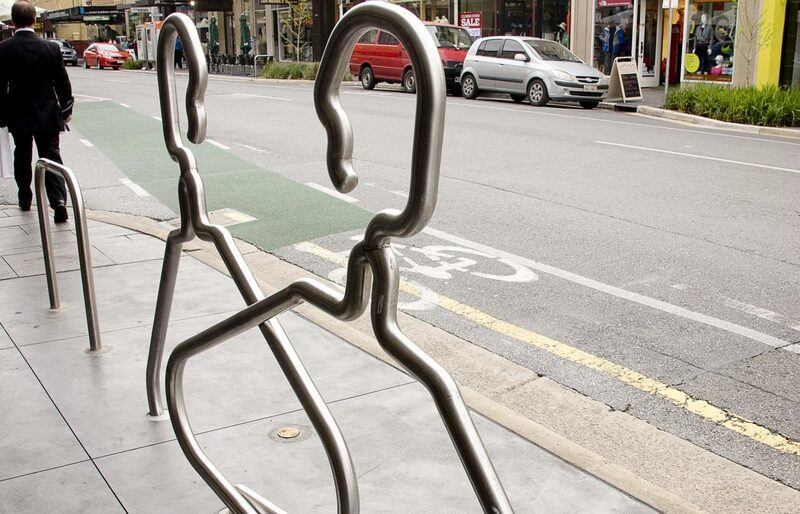 Both are robust enough to be used as bike racks or not.